computer chips and much more. including programming, for your vehicle. Contact Glenview Key and Lock for all of your lock needs, including residential and commercial services, autos and motorcycles, antique hardware and lock repair, key duplication, high security hardware and special order hardware. 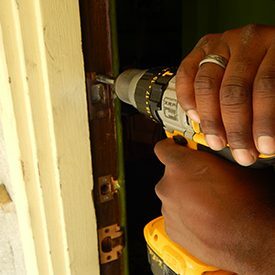 Residential services include door reinforcement, new hardware, making a lock fit the same key, and service on existing hardware or antique mortise lock repair. 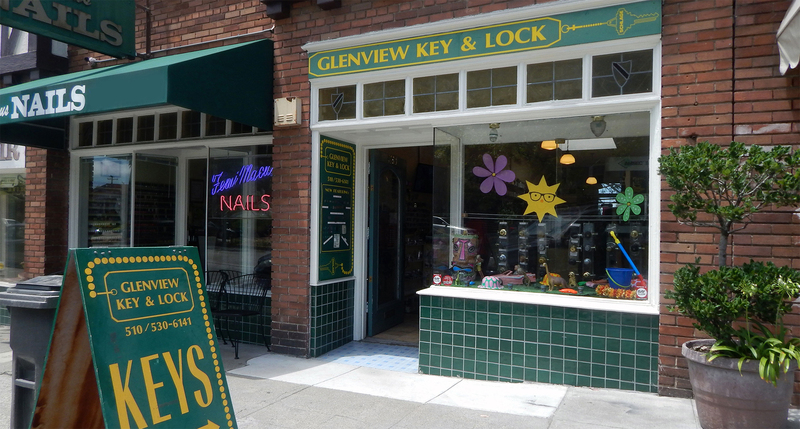 When your business needs security, Glenview Key and Lock can provide what you need including locks, door closers, file cabinet locks, panic bars, aluminum store front doors, a master key system, electric strikes and more. 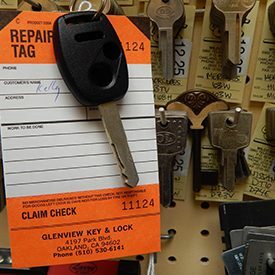 We program remote head keys and remotes for the most common cars, and our prices are competitive with most dealers, and we can program by appointment while you wait. Professional Key and Lock with a Smile. When you need professional services for your residence or business, contact Glenview Key & Lock. We provide free estimates on high security locks, digital key access, and door reinforcements. Called yesterday to make an appointment and ask questions … had someone out today to replace all locks and answer all of my questions. Sterling was super professional, friendly and worked really fast (re-keyed all 6 doors and cylinders in less than 45 minutes).Can’t say a bad thing about these guys and will definitely use them/refer them to anyone else in the market. Glenview Key and Lock came to my rescue after a handyman wanted to charge me 3 times the price to realign my dead bolt so that my door could actually close and lock. Sterling was great!! He arrived exactly on time, explained everything he was doing and asked if I had anything questions. No holiday rate made it even better!! First-rate service. I will definitely use again. It was crazy. I asked to get my lock rekeyed and he just put it through his beard and pulled the lock out in the correct specs. No, but seriously though, this place was a clutch place to get my car door locks rekeyed on a Saturday afternoon. He rekeyed it in all of 30 minutes and made me a spare key. I was quoted on the phone $35, but apparently that price is PER lock. Still, at $70 total, this is about half the price of anywhere else to stick some new tumblers in. 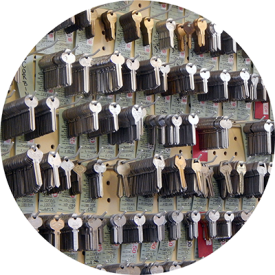 The staff at Glenview Key & Lock Shop are extremely courteous, knowledgeable and professional. They helped re-key our home that we recently purchased. The locksmith that came out was right on time, and had the job done in less than a couple of hours. She took the time to explain the different kinds of locks & bolts, and the reason behind her recommendations. My wife and I are extremely satisfied with the work they did, the parts they used, and they are now our “go to” lock shop in Oakland. Made a key on the spot for an old steamer trunk that was locked shut. Other locksmiths didn’t even know what a “steamer trunk” was, and thought I was talking about my car! Great, fast, and affordable service. After going to Home Depot twice to get spare keys made and having them fail miserably, I decided to drop into Glenview Key and Lock. I know this is probably not a big deal to many people, but I was impressed. The young man that helped us got my keys done in what felt like 2 seconds and they WORKED!! I am extremely happy with this little shop, I also noticed that they sell some very nice door locks so I will be going here in the future for all of my key and lock needs. locks, hardware, duplicate keys and more.